The average condo price in West Town has risen steadily since 2014, and currently sits right around $470,000. We expect to see prices to remain high or continue to rise moving forward, due to a combination of market factors, including months supply of inventory. The months supply of inventory for condos in West Town currently hovers between two and three months, and has for some time now, meaning that this is a situation that favors the seller - and we expect condo prices to remain high or continue rising for the foreseeable future. However, it's worth noting that this metric has been climbing in small increments, meaning that the West Town market is increasingly moving towards one that looks like it will be more balanced for buyers and sellers. As recently as the end of 2017, average market time hovered around 45 days for West Town condos - a rate that had held fairly steady since the middle of 2016. More recently, we've seen homes spend between 55 and 60 days on the market, as the area's condo market moves towards a more a balanced level. Between 2014 and 2016, the average sale price of a West Town detached single family home boomed. After a brief plateau over the course of 2016, prices began to climb rapidly once again, until plateauing toward the end of 2017 and dropping as we went into 2018. 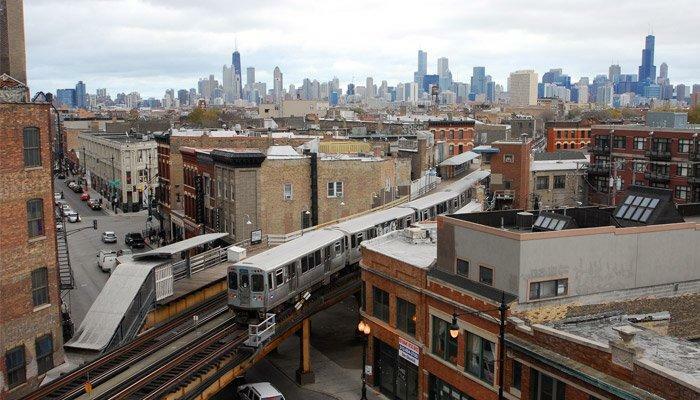 Since then, we have seen prices resume their upward trajectory, and as of early 2019, the average price of a single family home in West Town is roughly $.97M. Currently, inventory in West Town sits between 5 and 5.5 months, making it a relatively balanced market for both buyers and sellers. Market time in West Town has risen steadily since 2015. As of early 2019, the average West Town single family home spends just shy of four months on the market. Ready To Purchase a West Town Home? When you're ready to live in a neighborhood with a rich history and an engaged community, the Real Group team would love to help you find a new home in West Town! To begin the process and explore the neighborhood even more, be sure to drop us a line today!